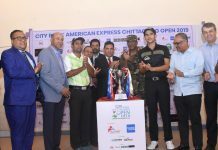 The 3rd City Bank American Express® Chittagong Open 2019, an International Golf Tournament, will be held at Bhatiary Golf & Country Club (BGCC), from 6th to 9th March, 2019. 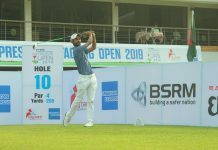 The tournament is jointly sanctioned by Professional Golf Tour India (PGTI) and Bangladesh Professional Golf Association (BPGA). This is for the 3rd time that an International golf tournament is being organized by RIZ EVENTS at BGCC. There will be a total of 126 professional golfers from home and abroad participating in this tournament. PGTI will have 78 Golfers and BPGA will have 48 Golfers. 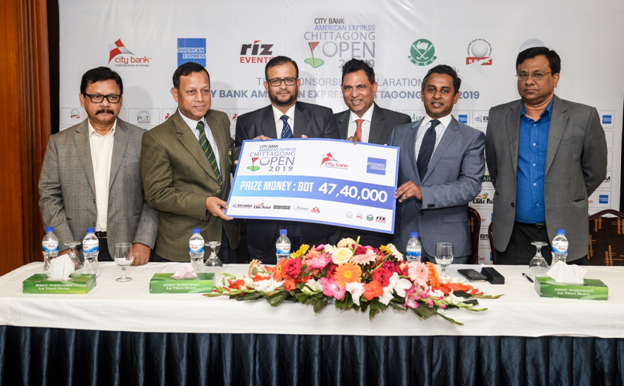 The Country represented in this tournament are USA, India, Sri Lanka, and Bangladesh for the total prize money of BDT 47,40,000. 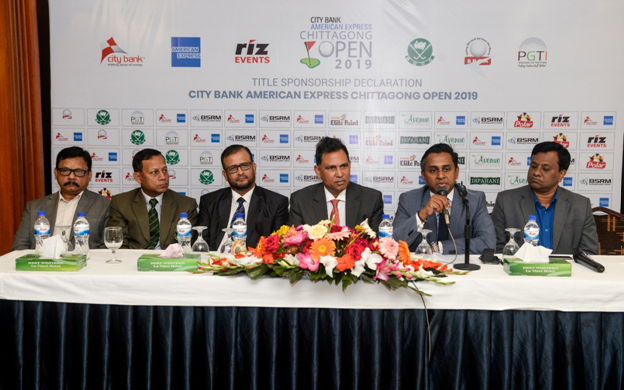 Mr. Rizwan Bin Farouq, Chairman, Riz Events said “This is the seventh title sponsor that City Bank American Express has done. BSRM & Elite Paint has continued again in being the two co-sponsors of this professional golf tournament. Mr. Rizwan Bin Farouq, Chairman, Riz Events said “This is the seventh title sponsor that City Bank American Express has done. BSRM & Elite Paint has continued again in being the two co-sponsors of this professional golf tournament. Our partners for this tournament is again Ispanhani & Avenue Hotel & Suites. Without their support we would have not been able to execute this professional golf tournament. We thank BPGA & PGTI for co-sanctioning the tournament.